The US Army Corps of Engineers assured the concerned public that the levee system built to confine the Mississippi River would hold, but the river was so powerful that it broke through. At greatest risk were the agricultural lands of the Mississippi Delta below Memphis. On 22 April 1927, when the levees broke just upriver from Greenville, a huge crevasse one hundred feet deep and half a mile wide opened up. By May, the rampage of the Big Muddy created a watery basin sixty miles wide below Memphis before rejoining the Mississippi, cascading over the Louisiana lowlands, and then rushing on to the Gulf of Mexico. 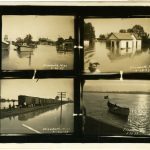 Although the flooding directly affected seven states, Mississippi, Louisiana, and Arkansas suffered the greatest destruction. When the waters began to recede by the 1 July, the river was still seventy miles wide in some areas, and at least 1.5 million acres still remained under water. 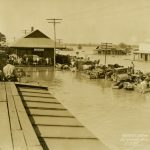 By August 1927 more than a thousand people had died as a direct consequence of the flood, nearly seven hundred thousand others had been displaced, and at least twenty-seven thousand square miles of land lay submerged under water up to thirty feet deep. The torrential rains had fallen at a rate more than ten times the yearly average, and property damage was estimated at one billion dollars. 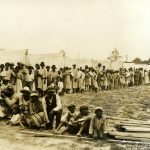 Throughout the Mississippi Delta the flooding had an especially devastating impact on African Americans, tens of thousands of whom lived as impoverished cotton tenants, sharecroppers, and plantation wage hands in the lowlands. 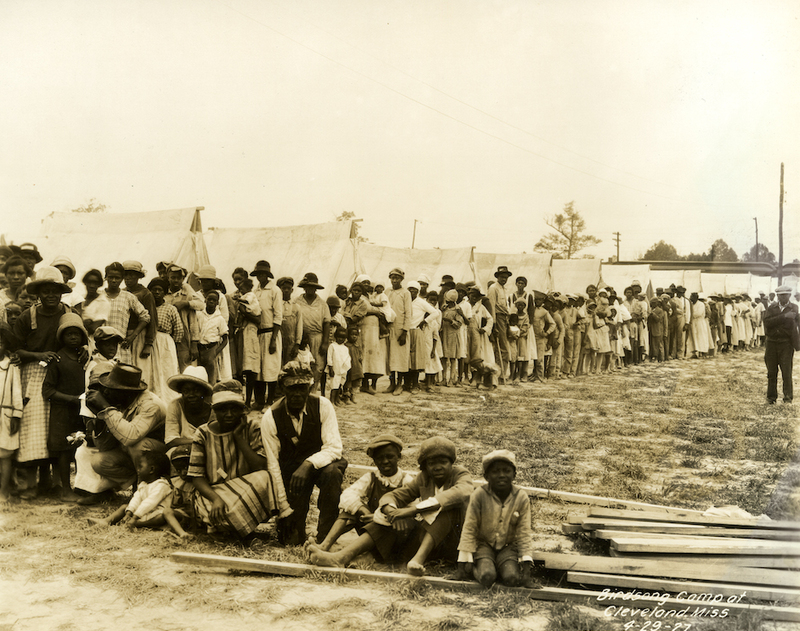 Most of the flood’s black victims, perhaps as many as 330,000, became refugees, crammed into “relief” camps set up by the Red Cross; the men and women in these 154 camps were impressed into service, stacking sandbags atop the remaining levees. 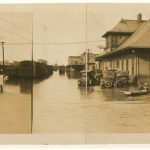 The bluff city of Vicksburg was engulfed as thousands of flood victims sought shelter from the raging waters. 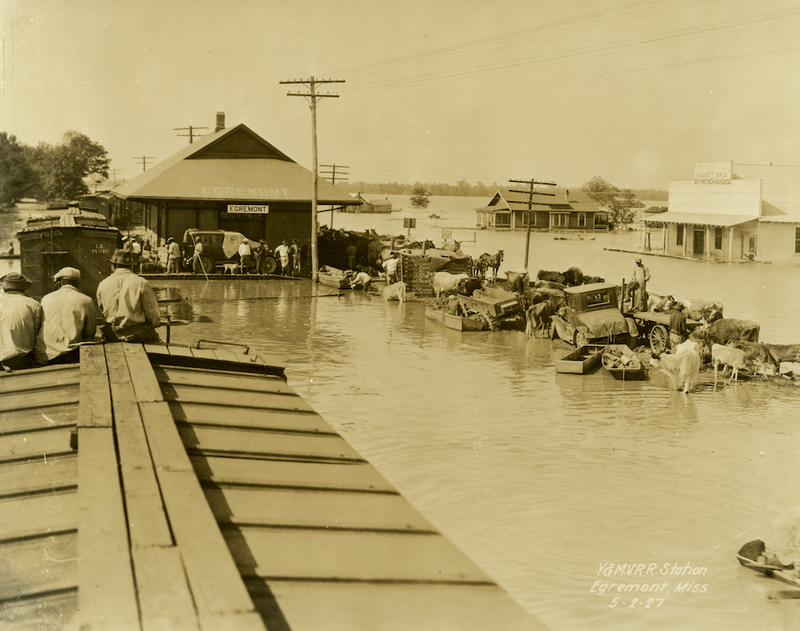 Flood control in Mississippi prior to the 1927 disaster was largely the responsibility of town, county, and district levee boards. Congress subsequently passed the Flood Control Act of 1928, transforming the entire Mississippi River Valley within a generation. The Army Corps of Engineers constructed the world’s longest system of levees, this time incorporating floodways, locks, dams, and runoff channels. Vicksburg became the new home of the Mississippi River Commission in 1930, and the US Waterways Experiment Station was established there to study problems associated with controlling the flow of the Mississippi River. 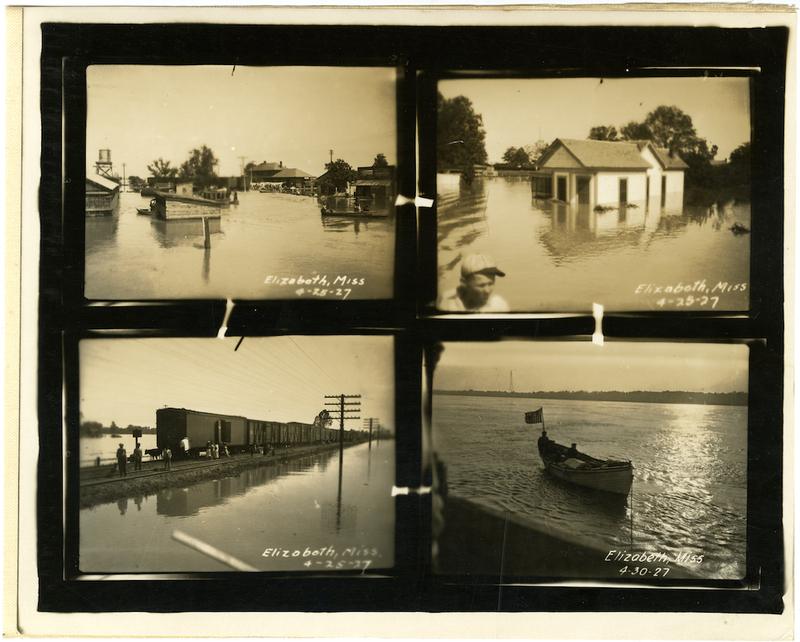 The 1927 flood had national political effects. Secretary of Commerce Herbert Hoover, who directed the Red Cross’s efforts to provide massive flood relief, won national attention for his humanitarianism. The subsequent publicity he received was a large factor in his successful 1929 bid for the presidency. The end of the flood also signaled a political upheaval in Louisiana and may have opened the door for populist leaders such Huey Long. Finally, the flood became a major factor prompting the migration of African Americans from the South to cities in the North and West.